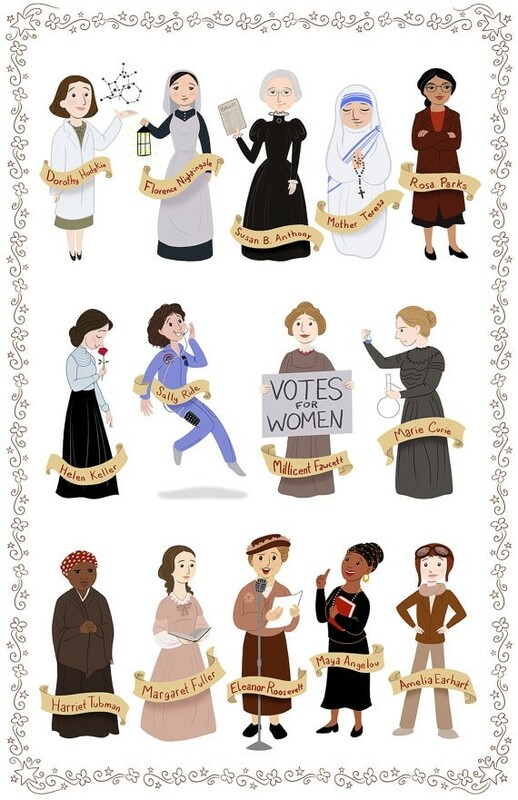 Celebrate inspiring women of history with this beautiful poster from Catherine and Sarah Satrun of the Satrun Twins' Art Shop! This 11X17 poster is printed on medium weight glossy paper and comes signed by the artists. 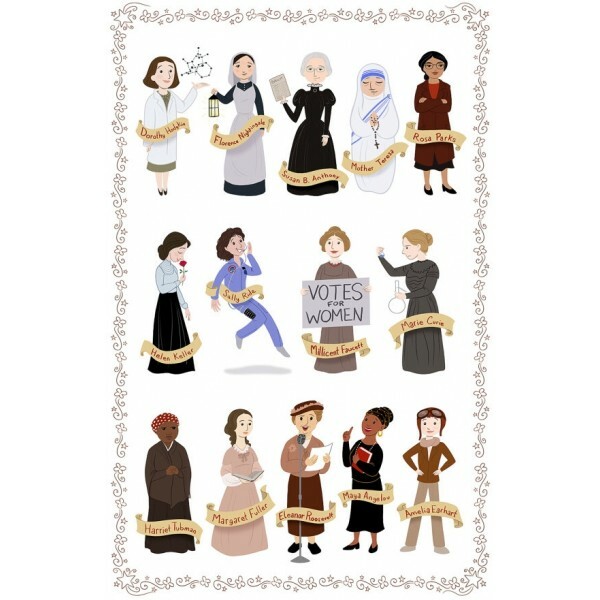 It features Dorothy Hodgkin, Florence Nightingale, Susan B. Anthony, Mother Teresa, Rosa Parks, Helen Keller, Sally Ride, Millicent Fawcett, Marie Curie, Harriet Tubman, Margaret Fuller, Eleanor Roosevelt, Maya Angelou, and Amelia Earhart. The Satrun Twins have created a series of these posters; you can get the second poster and third poster separately or get all three posters in the Women in History Posters 3-Pack.